You’ve finally chosen the special women in your life that you want by your side when you’re getting married. Whether they’re your best friends, sisters, or cousins, these women represent some of the closest bonds you’ve formed throughout your life (except, of course, for the bond you have with your future husband!). That’s exactly why you want to pick gorgeous bridesmaid dresses that will flatter your bridal party as well as match the theme of your wedding reception. Of course, this is all easier said than done. With so many different body types to account for, it can be difficult to select a universally flattering bridesmaid dress style. 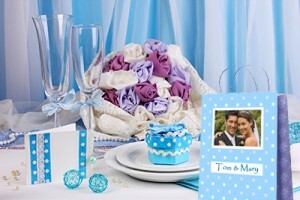 And what happens if your wedding colors aren’t exactly dress friendly? Not to worry: this article will help you decide on the best bridesmaid dress colors and styles for your wedding ceremony. First, it’s important to note which bridesmaid dress styles are flattering on all body types. You may be tempted to give your bridesmaids strapless dresses, but keep in mind that this isn’t exactly flattering to women with larger busts or arms. Therefore, consider buying dresses with delicate spaghetti straps or gorgeous sheer sleeves. You may also want to consider going with a longer dress style, particularly if you’re having your wedding in an elegant indoor space, like a ballroom. Speaking of length, be sure your bridesmaid dresses hit at a flattering part of the leg. Dresses that hit above the knee are great for all leg shapes. Avoid dresses that hit below the knee or in the middle of the calf, as this can make shapely legs look much bigger. When it comes to choosing the best bridesmaid dress color, you’ll want to incorporate the dresses in your wedding theme. When planning your wedding, you’ll choose two or three wedding colors that will be incorporated throughout the ceremony and reception. Therefore, the bridesmaid dresses should pick up on one of these colors. 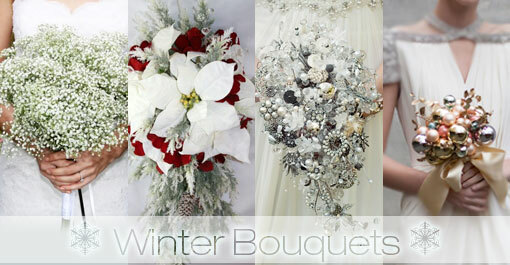 When choosing the color, be sure to pick the wedding color that will be most flattering on your girls. A nice neutral color like chocolate is always a safe choice (if your neutral color is white or cream, avoid picking this color – you want to stand out up there at the altar!). 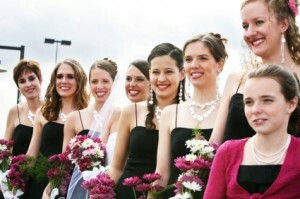 If you want to opt for one of your brighter colors, make sure that it flatters the complexions of your bridesmaids. For example, blue is universally flattering, while coral or hot pink can only be worn by certain complexions and body shapes. 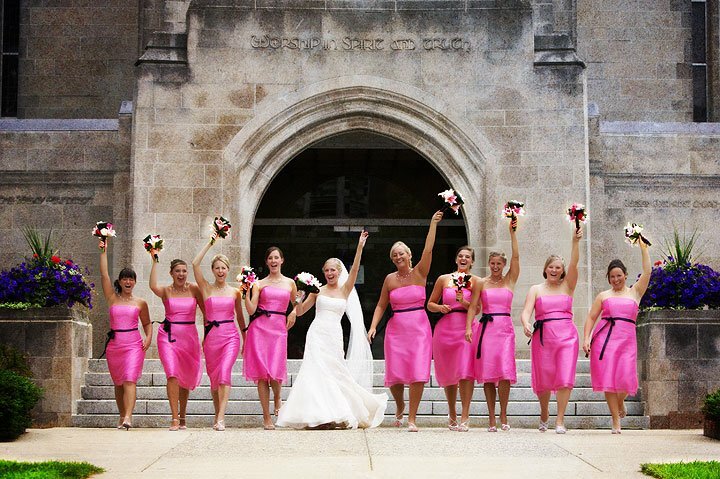 Remember, you want your bridesmaids to look their best and feel as comfortable as possible! Don’t forget to ‘like’ us on Facebook to get up to FREE return address printing! This deal ends October 31, 2012, so don’t miss out on this amazing offer! 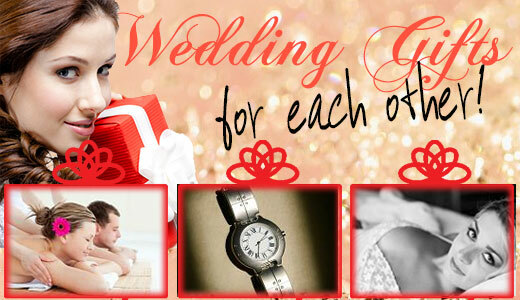 It goes without saying that you want to look your best on your wedding day. 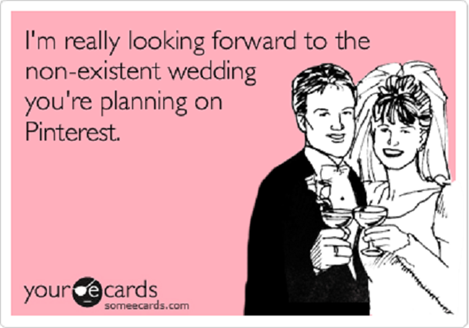 That’s why you’ve taken the time to choose the best wedding dress that will make your guests drop their jaws in amazement. You’ve also been hitting up the gym to ensure that you look your absolute best. You’ve even been making regular appointments at your local spa to get rejuvenating facials and glow-boosting treatments. So it’s no wonder you want to select a make-up artist that will highlight your features and make you look absolutely gorgeous on the most important day of your life! 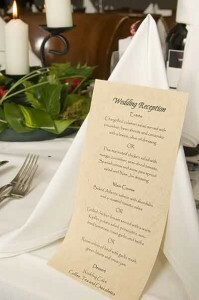 Choosing a make-up artist should be just as important to your wedding planning process as choosing a DJ or a caterer. After all, a make-up artist can either enhance your natural beauty or make you look completely different. And since your wedding will be captured on film forever, you want to find a make-up artist who will make you look like a glamorous movie star. Wondering how to find that make-up artist? 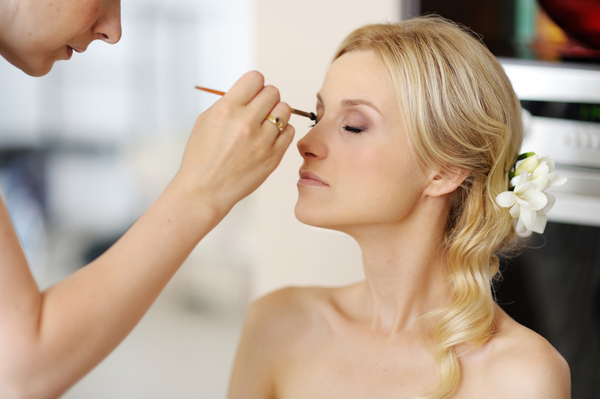 Here’s how to select the best make-up artist for your wedding! In order to attract your business, make-up artists will typically offer a free makeover to demonstrate what they can do. Don’t feel bad for taking advantage of this service – after all, it’s going to help you make your final decision! 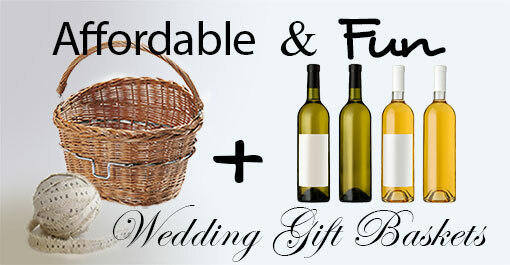 Don’t forget to bring along a member of your bridal party with you. This should be a close friend or relative who will be able to tell you honestly how you look. The make-up artist can also give the bridesmaid a free makeover, which will illustrate how she’ll make your bridal party look on the big day. Don’t forget that your budget will play a big role in finally deciding which make-up artist you’d like to opt for. Remember, you should be able to pay your make-up artist for doing your make-up, as well as the make-up of your bridal party, your mother, and the mother of the groom. If you can’t afford to do the make-up of all these people, be sure to tell the make-up artist that you’d like her to only do your make-up. This will give you a more accurate price point to work with. Selecting a make-up artist doesn’t have to be a big affair – just use these tips and you’ll find the right person in no time! Don’t forget to ‘like’ us on Facebook to get up to FREE return address printing! This deal ends October 31, 2012, so don’t miss out on this amazing offer!